Edging Completion is the last step in the "Edging and decorative rock Module". A good clean up is very important, including a thorough raking in your yard. A few years back, I was running a whipper snipper in my yard just before leaving for a vacation. It had picked up a rock, and hurled it into the side glass of my mini-van. It shattered the side window. This stresses the importance of a good clean up. This is why we try to keep our lawns free of rocks and other debris. When you are all finished your clean up, take a garden hose and wash the dust off the rocks. This will allow you to see the true colors of the rocks. Adding to rock or mulch beds. Sometimes your budget may not permit you to complete everything at once. Many people develop their landscaping plan over a few years. Tackling each section as your budget permits, is an efficient way to develop your yard. New ideas present themselves to us all the time. We are often inspired by garden landscaping ideas we see just driving down the street. The wonderful thing about building rock or mulch beds, is they can easily be modified or changed at any time. Dream Yard now has a Pinterest page for those of you looking for new ideas. We have over 6,000 categorized pictures for you to browse. 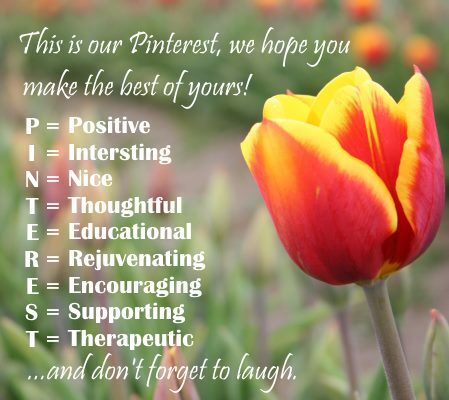 Please click on the Follow Us on Pinterest Button in the sidebar. We would love to see how your project turned out. We would be happy to post any pictures in our ideas section for others to see. Congratulations, you are done. Time to enjoy all your hard work. You should feel pride and satisfaction of doing it yourself. You have also just added value to you property. If there is anything you feel we can improve on, please let us know that as well. We can only improve with your feedback. Thanks for visiting Dream Yard. 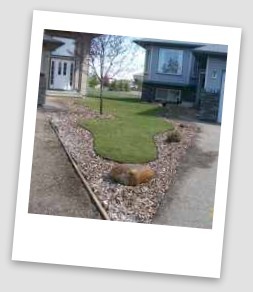 We hope you check out some of our other landscaping projects.